In todays world, keeping your systems on line is critical to your business. An extended outage can cost tens or even hundreds of thousands of dollars in lost productivity. 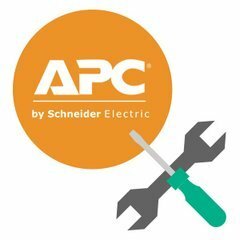 APC On Site Repair services are designed to get you the help you need on location to bring your business back up and running in a time frame compatible with your business requirements. The Field Service Engineers are trained to isolate and correct the problem in as little time as possible, minimizing downtime. If you have any questions about this product by AMERICAN POWER CONVERSION, contact us by completing and submitting the form below. If you are looking for a specif part number, please include it with your message.